In many websites, you can see nice and awesome image hover effects. Do you also want some nice image hover effects on your web page but you don’t have time or professional skills in CSS coding? 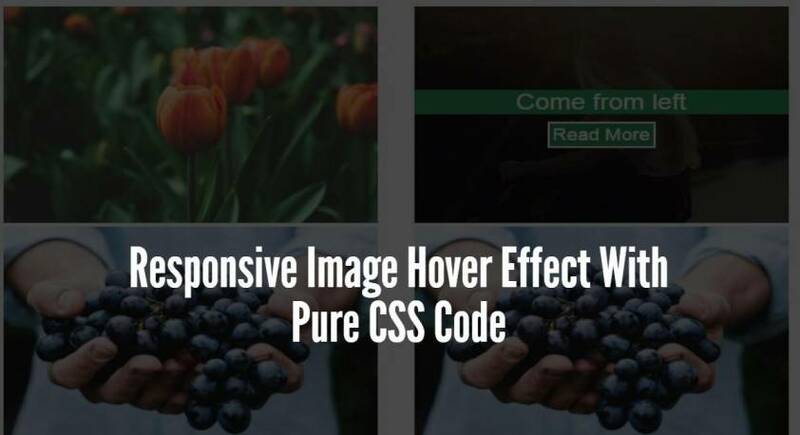 The above video is showing how this image hover effect CSS source code works and you can also see some of the different styles and background colors. This CSS product is created by me and I have named it Image Hover one CSS Main as this product built with only one CSS file. Built with only one CSS file which makes it very easy to use. You just need to link the CSS file and you can then use it anywhere on the web page. This CSS product is completely responsive and bootstrap compatible. Very easy to use. Just use the div element to choose your own style after you link the CSS file. A variety of color combination, animation effects available. Using different types of combination of div elements you will able to create a variety of image hover effects. Demo HTML file available which can be helpful to you. You can download the complete source code from here only for $3. After downloading this product I suggest you check the demo HTML file. The demo HTML is clean and easy to use. How To Make Blurry Text Using CSS? The demo codes inside the demo HTML file will be so helpful after you get the source code of Image Hover one CSS Main. You can find a variety of demo code for the different color combination. Also inside the documentation file, you will find a variety of div elements.